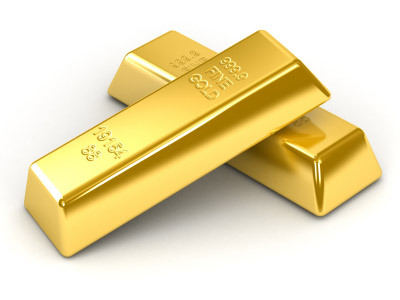 Investment-grade gold is referred to as gold bullion. Gold bullion is available in bars or in coins. However, it is not considered legal tender. The bars and coins are available in 22 karats to 24 karats. Though jewelry may often be used as a gold investment, it is not considered investment-grade gold bullion. Gold bullion may be obtained from Swiss banks, private dealers, gold dealers or coin dealers. Many companies offer to store investor’s gold at an off-site location in order to minimize the risk of theft. Instead of storing gold investments at the home, the gold may be stored at an off-site vault, bank or other vendors that offer this type of service. Bullionvault.com is one such facility that offers this service to investors. This storage facility is open each day of the week for 24 hours per day. Armed guards protect the gold while it is in the vault. Gold mutual funds allow investors to invest in gold without physically taking possession of the gold. Mutual funds are diversified investments that incorporate gold mining securities, futures, Exchange Traded Funds (ETFs) and stocks into one fund that is monitored for progress. Investors should consider turnovers, fund loads, expense ratios and net asset values. Gold mutual funds are volatile enough to provide significant gains, but safe enough to protect your assets. Gold mining stocks also provide a way to invest without physically securing the gold assets. An increase in the share price of gold mining companies is typically indicative of the success of gold as an asset. While these numbers are typically in synch with one another, this is not always the case. An individual gold mining company may experience difficulties, while the price of gold remains strong. Investors may expect the dividends to be greater than other gold investments because this investment is more volatile than other investments. Exchange Traded Funds (ETFs) are secured by gold in storage. Gold investors are charged storage, management fees and annual insurance fees with an ETF investment. The fees cause the value of the certificate to decline over time. A certificate is issued to represent the amount of gold secured in storage. Each share represents a block of 50,000 units. These units are referred to as creation units. Nearly, forty percent of investments in gold are ETFs. Gold futures allow investors to invest in gold without acquiring physical possession. Investors sign a contract to purchase a certain amount of gold on a particular date. Profits will be earned based upon the difference in price on the day purchased and the day the contract takes effect. If the price is higher on the contract date than the date purchased, the investor will yield a gain. Otherwise, investors will lose money. Futures investing require knowledge of the market in order to predict the behavior at a future point in time. Investors often invest in rare gold coins or gold jewelry. Experts define rare as a coin that is either scarce or no longer in production. The coin’s value increases as the historical relevance of the coin increases. Gold jewelry must be in good condition and also hold some historical relevance or possess the potential of historical relevance. Both antique and modern jewelry are used as gold investments. Investors should seek the advice of an expert to determine which gold jewelry items will have more value over time. As of today, gold is hitting peak prices once again. This means that demand for gold is now higher than in the history of mankind up to this point. If you decide to invest in gold, you don’t just have to buy physical bullion — you can use any of the means described above. 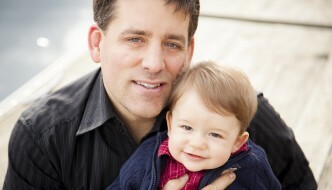 About the Author: Shaun Connell is a full-time investor, blogger, and writer. He manages a blog about gold coins, where he teaches people how to invest in gold. The GLD ETF is the only way that I would own Gold. It's pretty liquid and there are derivatives too. The funny thing is ten years ago you would have never heard anyone talking about investing in gold or precious metals. But now that gold has been on the rise it's all the rage. The problem with all investments is they assume the past equals the future, but we all know it doesn't. So investing in gold may be good yesterday but what about tomorrow? There are better investments out there. My version would go: If you're a beginner, don't invest in gold. What's the best way to invest in gold/silver without getting scammed? The ETFs?